Last year I had the great good fortune to spend a bit of time with Judith Stein and Meridith Lawrence at their beautiful home in Massachusetts. Stein and Lawrence are partners who pioneered fat activism in and around Boston in the early 1980s through support groups and gatherings called, variously, Boston Fat Liberation, Boston Area Fat Liberation, Boston Area Fat Feminist Liberation, and Boston Area Fat Lesbians. Stein was responsible for a slew of publications about fat, lesbian feminism and Jewish identity, and her New Haggadah is included in the collection at the National Museum of American Jewish History in Philadelphia. She was also instrumental in politicising the Boston Women's Health Book Collective around fat, which led to the inclusion of fat feminism in Our Bodies Ourselves. 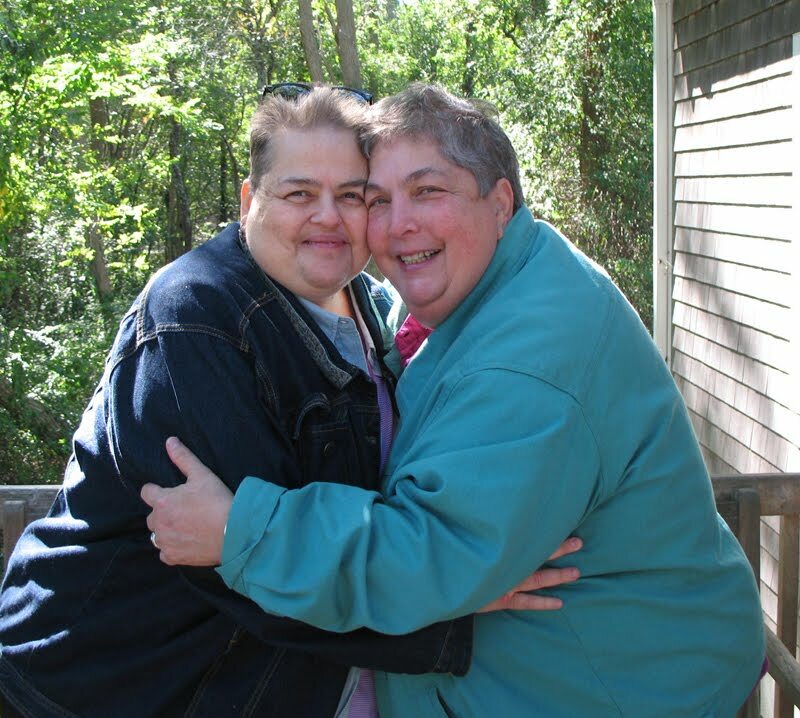 Stein introduced many dykes to fat feminism through their presence at the Michigan Womyn's Music Festival, and through collaborations with other fat activists in the US. During my visit, the pair shared with me recordings of a couple of radio shows they made with other contributors in 1984 and 1985 called 'Plain Talk About Fat' and '30 Big Minutes With Fat Liberation' respectively. These shows were produced for International Women's Day by a radio station at the Massachusetts Institute of Technology. Stein and Lawrence permitted me to make digital versions of the show for people to download and listen to. I don't know about you but I find these shows beautiful, moving, funny, right-on, and a sheer pleasure to listen to. The team's creative use of radio is gorgeous, I like the non-professional nature of it, it feels very proto-DIY culture, the rough edges are what makes these recordings so special, and the lively atmosphere is delightfully contagious. 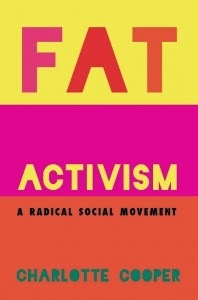 I think many fat activists today are alienated from historical fat activisms, especially pieces of work that were produced by radical lesbian feminists, and which formed the backbone of the movement for years. 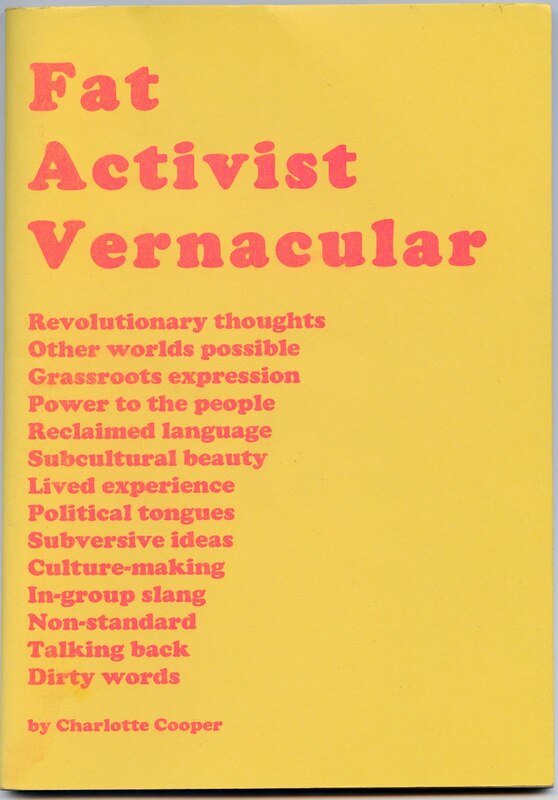 These recordings give a great idea of what fat feminist culture sounded like at the time, and offer hints about the forms that fat activist cultural production might take. I'm very grateful to the lesbian feminists, many of whom were also Jewish, who helped develop and shape fat activism in its earlier incarnations. I offer deep gratitude too to Stein and Lawrence, not just for their hospitality towards me, but also for helping to build a movement that has had such a great influence on my life. Stein, J. (1981) 'Fat Liberation: No Losers Here', Sojourner, 6:9, 8. Stein, J., Sears, R., Mitchell, P., Newmark, R. & Purnell, J. (1981) 'The Political History of Fat Liberation: An Interview', The Second Wave, 3: 32-37. Stein, J. (1982) Telling Bobbeh Meisehs: Notes on Identity and the Creation of Jewish Lesbian Culture, Cambridge, MA: Bobbeh Meisehs Press. Stein, J. (1983) 'On Getting Strong: Notes From a Fat Woman, in Two Parts', in: Schoenfielder, L. & Wieser, B. (eds.) Shadow on a Tightrope: Writings by Women on Fat Oppression. Iowa City: Aunt Lute, 106-110. Stein, J. (1984) A New Haggadah: A Jewish Lesbian Seder. Cambridge MA: Bobbeh Meisehs Press. Stein, J. (1986). Get Your Foot Off My Neck: Fat Liberation. Gay Community News, 28 June 1986. Stein, J. (1997) 'Making A Big Splash: The Pleasures of Water Aerobics' [Online]. Berkeley, CA: Radiance. Available: http://www.radiancemagazine.com/issues/1997/spring97_jstein.html [Accessed 23 January 2012]. Plain Talk About Fat and 30 Big Minutes With Fat Liberation by Judith Stein, Meridith Lawrence et al is licensed under a Creative Commons Attribution-NonCommercial-NoDerivs 3.0 Unported License. Permissions beyond the scope of this license may be available at http://obesitytimebomb.blogspot.com. This means you can share these recordings as long as you credit them, but you can't change them or profit from them. If you want to talk about licencing issues, contact Charlotte Cooper at this blog and she will put you in touch with the people who made the original recordings. Thanks to Simon Murphy for help with digitising the audio. I met Judith when we were both working at MIT in 1980. I have such wonderful memories of her and still have a post card of an Andrianne Rich quote that she gave me on my birthday in 1981. I would love to get in touch with her, just to say hello and tell her that I often think of her with fondness and love. If you have a way of contacting her, please tell her that Bea Hanrahan would love to be in touch. She can email me at bfarley19@gmail.com. I hope this message finds her well and happy. Thanks for passing it along.